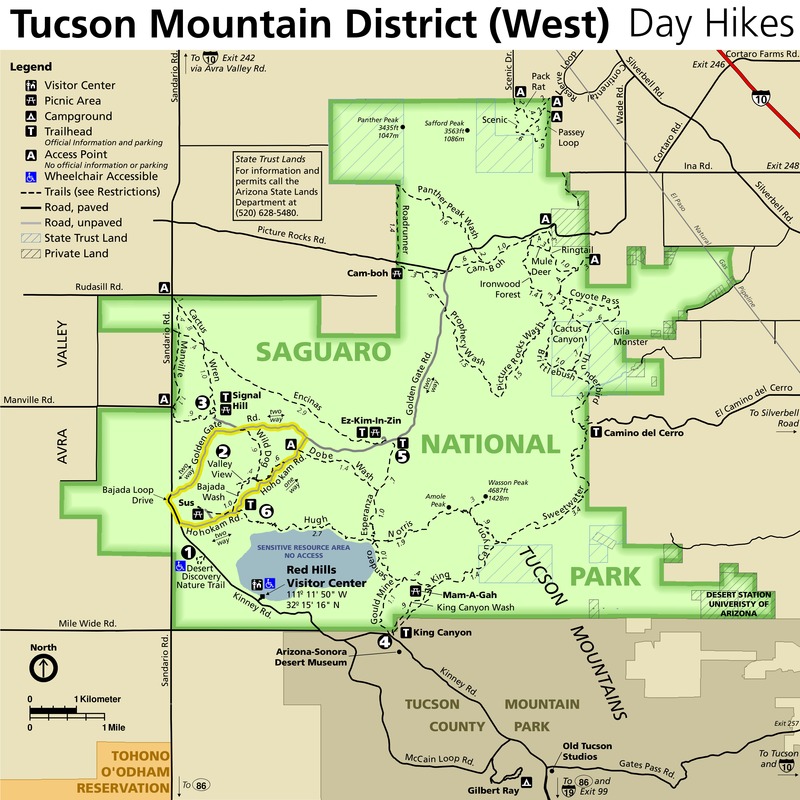 This is a very simple, basically flat walk through the desert in the northern Tucson Mountains, in the north part of Saguaro West National Park. 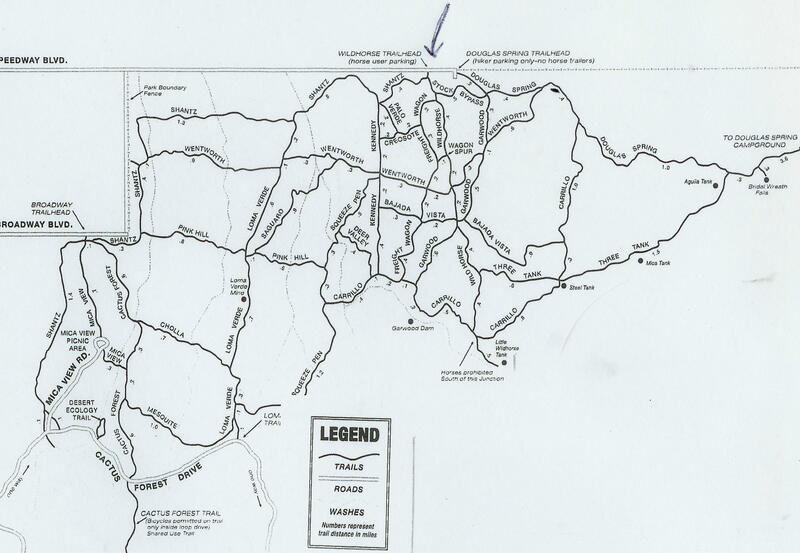 This makes a nice little loop out of the only two official park service trails north of Picture Rocks Road, using the Cam-Boh trail to access them. 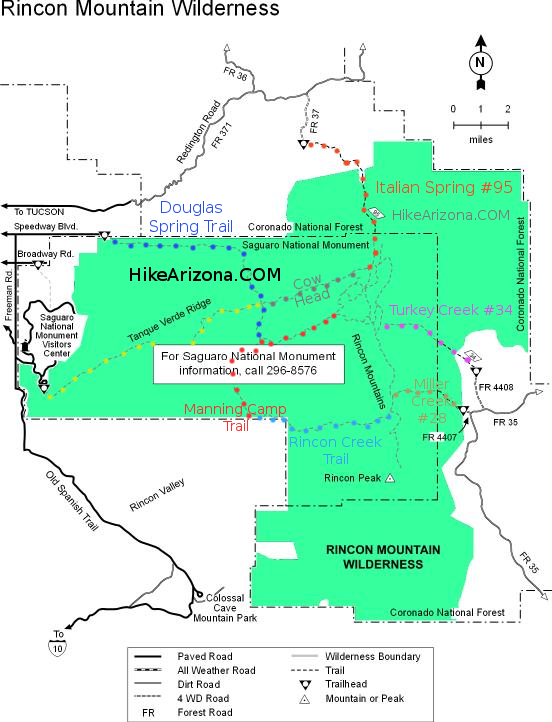 This hike is easy, flat and parallels the road for a little while, so it's not for those seeking a secluded desert challenge. It is good, though, for a brief before work jaunt or run. From the Cam-Boh trailhead, head east on the Cam-Boh trail as it crosses through the flat desert, paralleling the Picture Rocks Road. The trail is narrow and sandy, there are always great views of Wasson Peak to your right and Mt. Lemmon ahead of you. In about 0.3 miles you will cross the signed Prophecy Wash, which runs right/south. Stay on Cam-Boh. 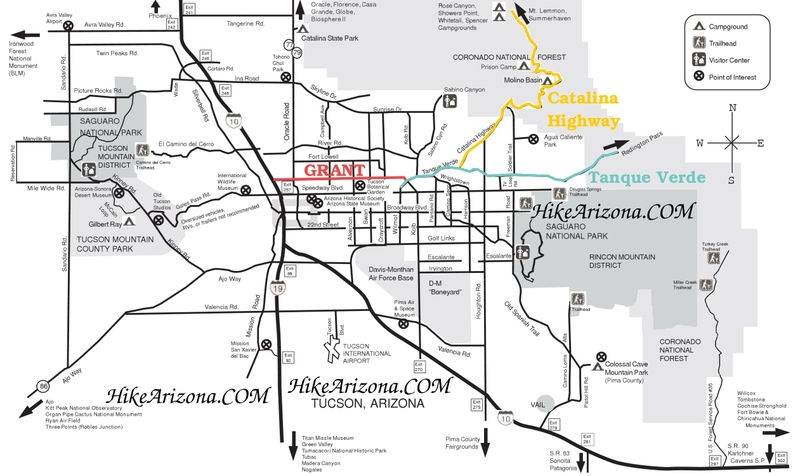 In another 0.3-0.4 miles you will cross the gravel Golden Gate Road heading south into the mountains. Pick up Cam-Boh on the other side and keep going. 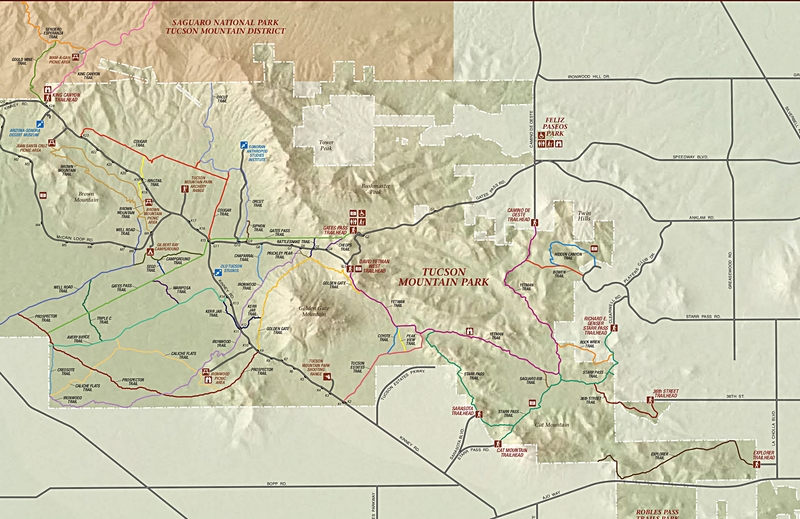 0.6 more miles of easy walking through the desert brings you to the signed intersection for Panther Peak Wash trail. Hang a left here and head north. There are great views ahead of the Sombrero Peak Ridgeline and the long slope of Peak 3263 to the right. Also of course, you see Panther Peak to the left. 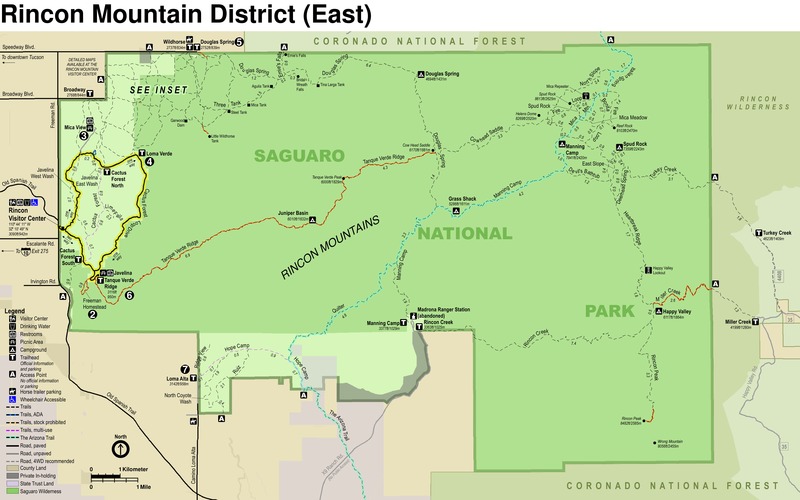 Head north on the Panther Peak Wash trail for 0.2 miles, where it will cross Picture Rocks Road, and head north into the desert towards the mountains. The next 1.7 miles are basically in Panther Peak Wash. This is generally a wide sandy, rather typical desert wash. Easy to follow, it winds its way northwest. Occasionally the walls rise up a little on either side and there's pretty nice vegetation along the way. Finally you will come up to a fence marking State Trust Land, running right across the wash. To the left is the signed marker for the Roadrunner Trail. Take this easy flat trail back to the Cam-Boh trailhead. The Roadrunner is a narrow sandy trail that would be nice for running. Nice desert vegetation lines the trail. There is some private property off to the right. The trail is a quick 1.45 miles back to the Picture Rocks Road, which it crosses then drops you back off in the Cam-Boh parking lot.